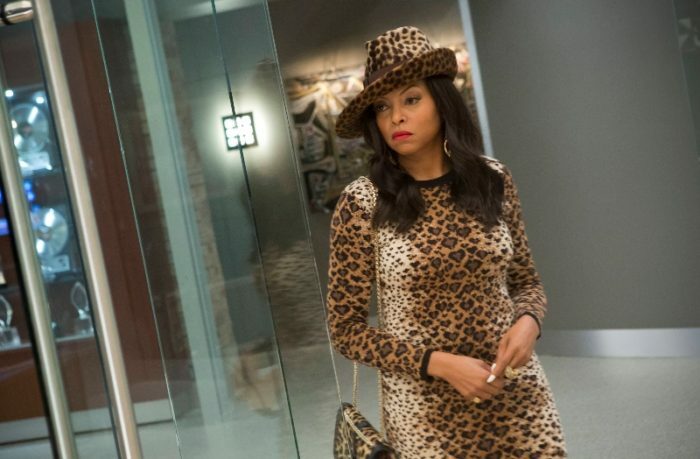 Empire Review - TV FOX - Are You Screening? 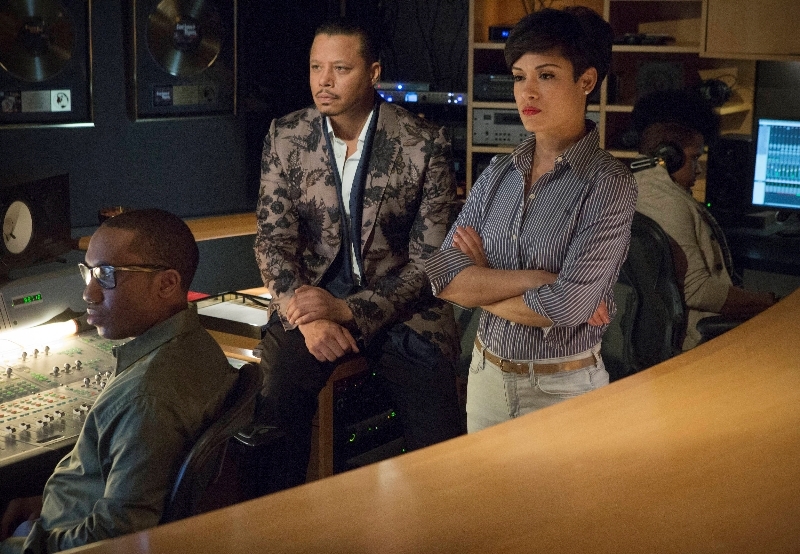 Why is FOX‘s new show Empire extremely likely to win them good ratings? Because there seems to be no depth of reality television that won’t get people to watch. Except for FOX‘s own grand-scale effort, Utopia, which unfortunately only focused on several, specific stupid people, and not stupidity as a lifestyle. If you’re curious about what’s in store for you, imagine that instead of a new reality show featuring the Kardashians, we instead created a scripted show which follows the life of… let’s say, “a similar family,” only we take a few outlandish liberties with reality… such as giving one of the Kardashian sisters a pimp, or a record for stabbing a paparazzi… or whatever. You probably already know that the trouble there is that some non-zero (and probably very large) percentage of the people who watch those shows, watch them for the sake of hate-watching… which isn’t going to translate into an audience for this as easily. You probably also know that Shonda Rhimes exists, so flip your coin. The show kicks off with a musical effort that is awfully difficult to avoid laughing at. 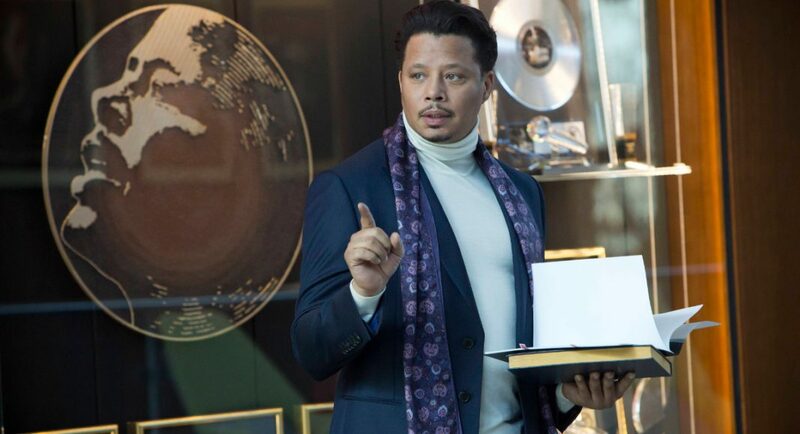 Lucious Lyon (Terrence Howard) is apparently a music mogul who runs Empire (which we are very careful never to get to close to referring to as Empire Records, even though that must be what it is), and the singer of the day isn’t giving him the performance he wants for the record they’re making… or whatever. What follows is among the most childish examples of writing you’ll run into in a show that takes itself anything like this seriously… unless you watch a lot of Shonda Rhimes’ shows. Following a script that doesn’t have a world perspective beyond early HIgh School, Lucious cracks open fortune cookies at the singer, and does so with an almost manic intensity… et voila, she sings it exactly the same, only a little louder at the end, and now we are fantastically impressed with ourselves. 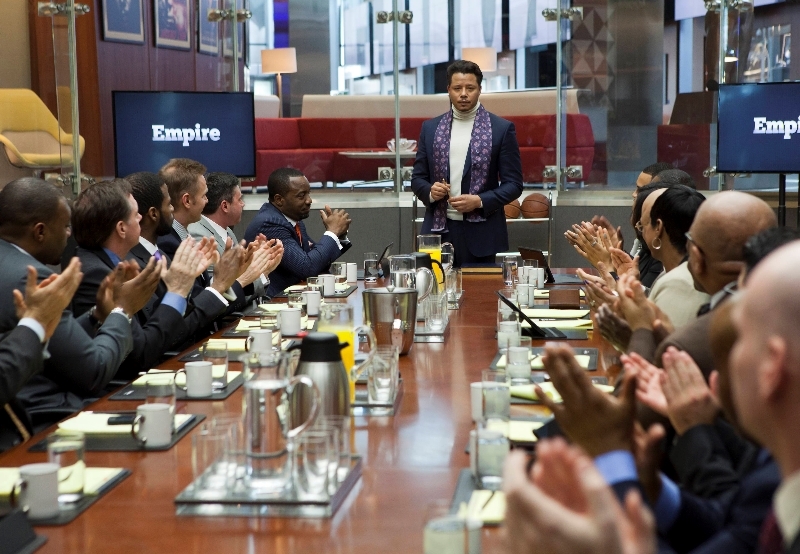 This scene, and a follow up that has Lucious, in front of what is meant to be some sort of Board, speaking so randomly that he might as well not even be speaking English, serve to provide us with the idea that he is just the Man. Now we can run headlong into the gimmicks of the show. Gimmick 1 – Lucious is clearly ill, and needs to get his Empire in order. That means figuring out which of his three sons are going to take over. A fact he explains to them. We are meant to be impressed that one of his sons can reference King Lear (which is not absolutely a meaningful reference, but wtf, we said a Shakespeare thingy), obviously because of the show’s general premise, but those of us who might be impressed, aren’t watching the show. Of course, the theory is that we hope we’ll break that stereotype, and not believe that people who are familiar with King Lear are not automatically people who wouldn’t watch this show (or otherwise be, or know the people in the show), but it doesn’t look like the show can even tell that story with a straight face. I hear your complaints about how ridiculous and closed-minded a viewpoint I have, what with implying that people who can throw out Shakespearian references aren’t fascinated by television shows focused on stupid people (or, possibly worse, vice versa), but I can’t make it through the complaint itself any more than I can the show’s clearly theoretical perspective which got us here in the first place. Also, there’s the fact that just because anyone leaves their empire to their kids, it doesn’t automatically make King Lear a cogent reference, so that messes with the whole thing. Gimmick 2 – Lo and behold, Cookie slipped out of jail. Boom! Also, she is about to get all up in Lucious’ bidness, yo! Sorry, that’s what it says in the script. 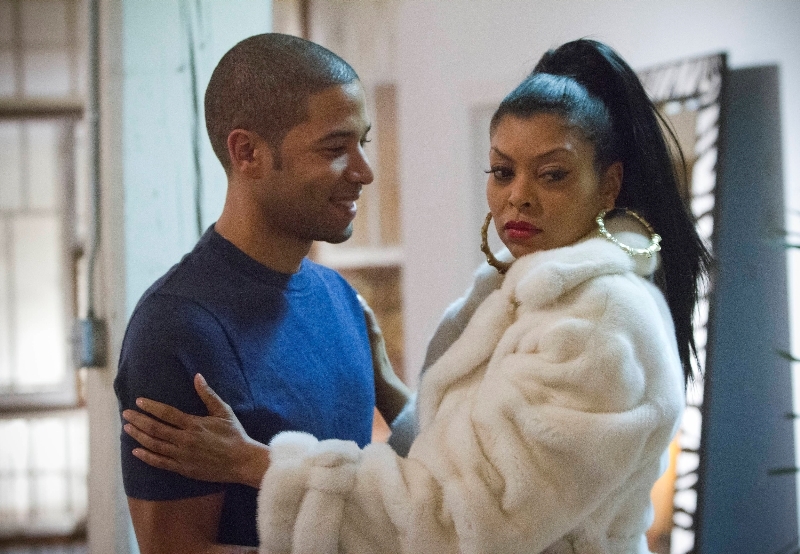 Cookie (Taraji P. Henson, from Person of Interest), who won’t stop calling herself that, is Lucious’ ex, and apparently, before going to prison for 17 years, she started the Empire with Lucious, and now she wants what is rightfully hers. 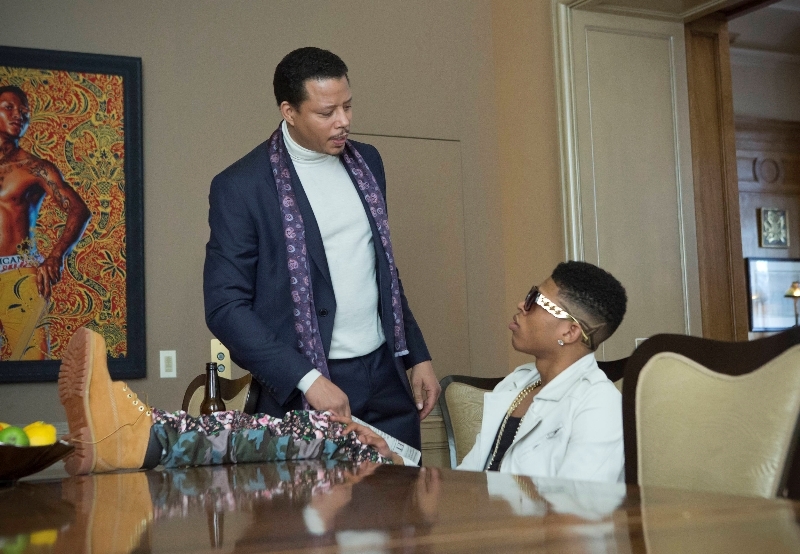 Moreover, Lucious is trying to take his company public, and despite the fact that Cookie doesn’t know what that means, she knows how to take down the whole Empire if she has to. Of course, if she did, Lucious would have nothing, not even the $3 million a year that he’s offered her, and then she would have nothing, but in TV magic land, that’s still a workable blackmail angle… or whatever. This entire angle is made the more difficult to get on board with by virtue of the fact that Cookie can’t seem to figure out if she is a character that walked out of Pulp Fiction, or I’m Gonna Git You Sucka. The pilot runs us through these establishment elements as fast as it can, and to be honest it gets things moving better than a lot of pilots. What it gets moving is, unfortunately, so close to self-mockery that it’s difficult to know where things will go, because like any soap opera, it could go anywhere, but probably isn’t going anywhere. It has a lot of parts to offer a varied story, but even if this weren’t laughably “reality” drama in its focus, everyone is so simplified that the show is fairly insulting. It may have a character reference King Lear, but it wishes it could have a pop-up wiki article in the corner of the screen for you. Lucious’ three sons are translated from a fairy tale insofar as they represent such extreme, and one-note points on the personality scale. One of them would actually be an interesting character if he even the slightest room to move, but what difference would that really make with him swimming in this sea? Like I said, it’s bound to be incredibly popular, and if you were betting (or running a network), you’d probably be safe, and in an extremely similar boat that leaves us in a world in which people can’t throw money at Shonda Rhimes fast enough. If How to Get Away with Murder is your favorite show – A) I kind of hate you, and B) you’re wrong, because this is.